Dance and Music - any one of these is taught as art forms as Optional for students of Class I to V. To ensure the proficiency and involvement of these activities periodic grading is carried out based on students performance. Expert professionals in the above subjects teach students. Due to the dedicated and devoted training given by our Music Master, children are able to sing different prayer songs for assembly sessions, also they actively take part in musical items conducted in connection with School activities. Our professional Dance Master too is actively involved in training students in dance performance which are major attractions for students. School encourages creativity and sense of adventure in students by giving opportunity to participate in a variety of extra-curricular activities such as performing Arts, Dramatics, Music etc. Every year School conducts Inter-House competitions known as 'Kalotsav' in Dance, Music, Arts, Literature. School Kalotsav is a much sought after occasion for Santhinikethanites and the entire school bears a festive look on this occasion. More than 25 events will be conducted in different categories for students from Classes I to XII. Teaching and learning are communication centered process. In a class room scenario, much depends on the communication, which happens between the teachers and the learners. Communication essentially involves conveying a message to either an individual or a group in such a way that the message is understood in the desired manner. The capacity to communicate is basic to achieving success in our lives. Communication is an art and it can be developed with some effort, some planning and a lot of persuasion. That is why it is generally termed as a skill. 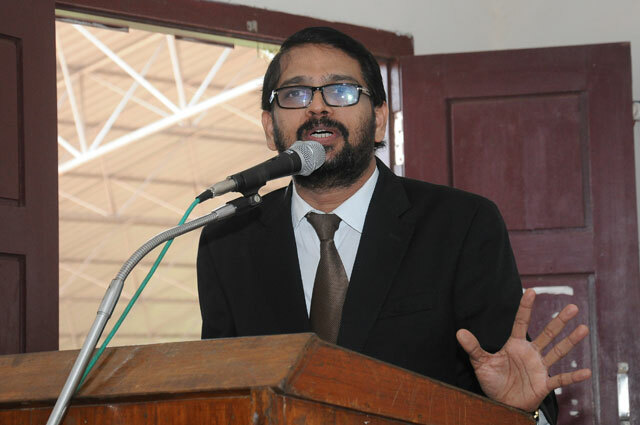 That is why it is introduced in Santhinikethan Public School as a special subject of study. It's a curriculum embedded programme which comprises fun, games and interesting activities. The School is aided by ABC - Academy for Better Communication, a pioneer English Language Resource Centre which offers a Comprehensive Language Programme to improve and sharpen the communicative skills of the students. Celebrations are also part of school activities mentioned in the school calendar. Annual Day Celebrations - is celebrated with its usual pomp and glory. Every year in the month of January. Variety entertainment with 80% students participation is a real feast to the eyes. Majority of the parents stay back and witness the gala function along with the distinguished guests. School Parliament And Investiture Ceremony - Election to school parliament is held every year through a spectrum of scientific procedure. The headboy, headgirl, housecaptains and their assistants are elected through a lively, novel and educative process. The office bearers are adorned with sashes and designation cards in a grand occassion by the distinguished guests. World Environment Day - is celebrated on 5th June every year to inculcate in students the habit of being environment friendly and also to keep the premises clean and hygienic. Saplings are planted both at school and home. Essay competition, Quiz etc. are conducted with relevant topics. Victory Day - School celebrates this immediately after the X and XII Board Exam results are published. 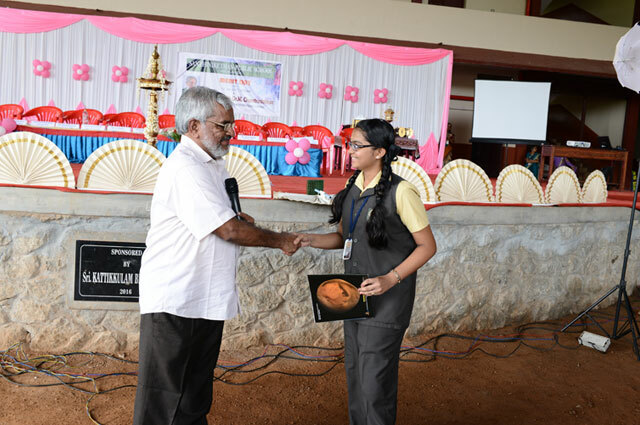 The meritorious students are given awards in a colourful function by honourable dignitaries. Teachers Day - On 5th September, Teacher designates from among the students of Senior Secondary classes. High school classes take over the charge of Teachers and teach in classes KG to VIII. Prize Day - The prize winners of various activities of the academic year are applauded and awarded with Trophies, Medals and Certificates. Gandhi Jayanthi - is celebrated on 2nd October and students observe the ensuing week as sevanavaram by undertaking the task of cleaning School premises. 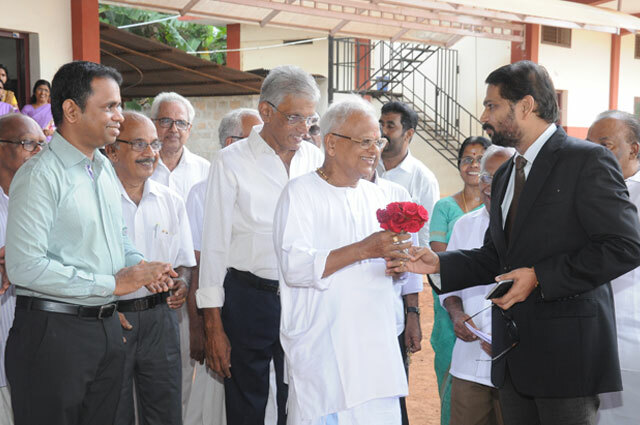 Sree Narayana Guru Jayanthi - is celebrated with recital from Guruâ€™s teachings and poems and Essay Competitions connected with the occasion are held. National Days - Independence Day, Republic Day etc. are celebrated in a befitting manner fostering love and gratitude towards our mother land. 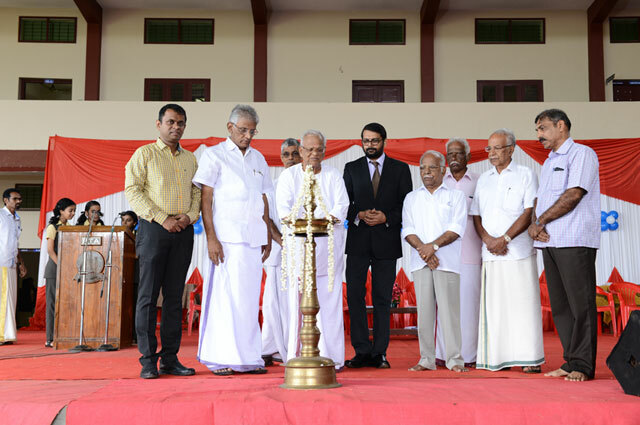 Festivals - like Onam and Christmas are celebrated with variety entertainment programmes connected with the occasion. On these occasions students wear colour dress suitable to the occasion and participate in activities with lots of enthusiasm and enjoyment. 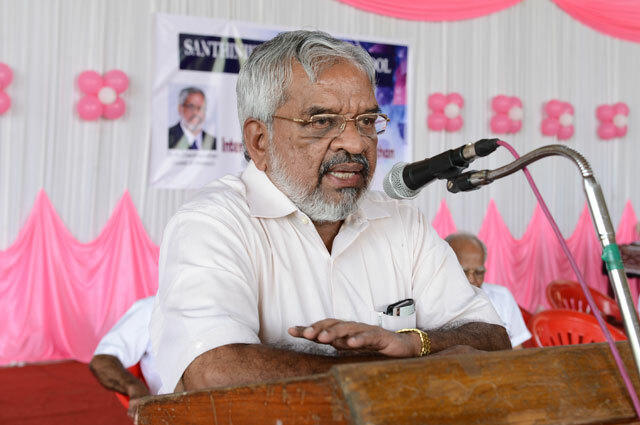 Vayana Varam - In connection with the celebration students take part in classwise, manuscript, magazines, competition, quiz, book-review etc. and win many prizes. Children's Day Celebration - Every year in November, with a variety entertainment programme and ceremony.